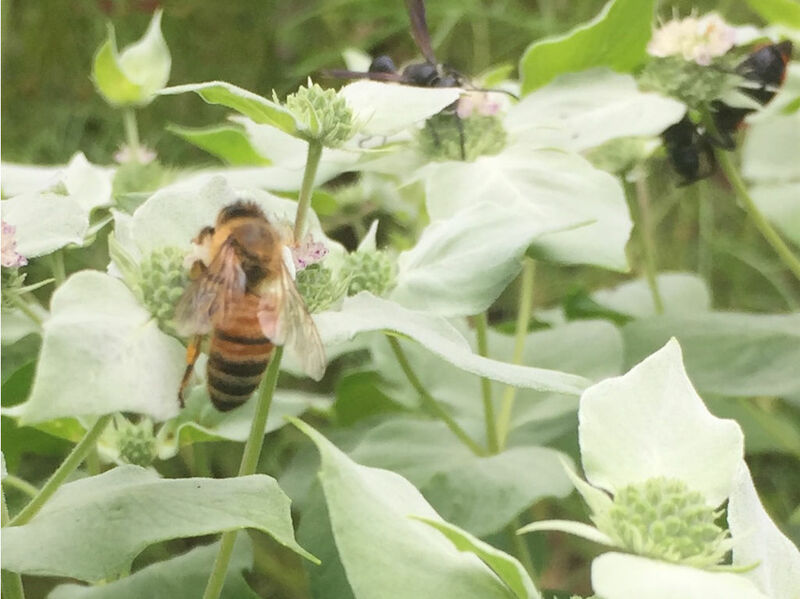 I have been working to have more flowers available in our yard, especially for this time of year when other nectar sources dry up or fade away. Here are a couple of ongoing projects. The tenbytenplusten.com site, or 10×10+10, advocates the simply idea that if everyone built or contributed a 10 foot by 10 foot space for pollinator flowers, it would greatly help the bees, butterflies, and other insects that rely on them. 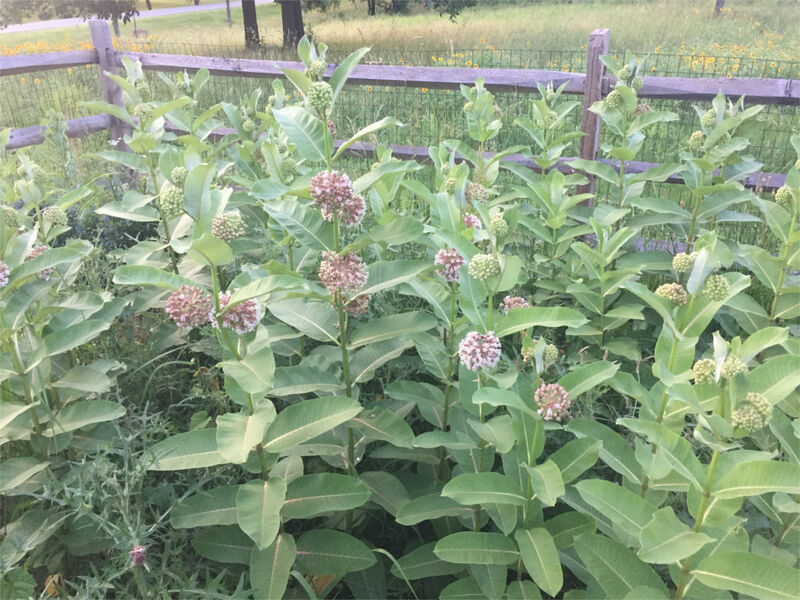 I really liked this idea, as it is similar to the fairly successful Monarch Waystation Program started for monarch butterflies. 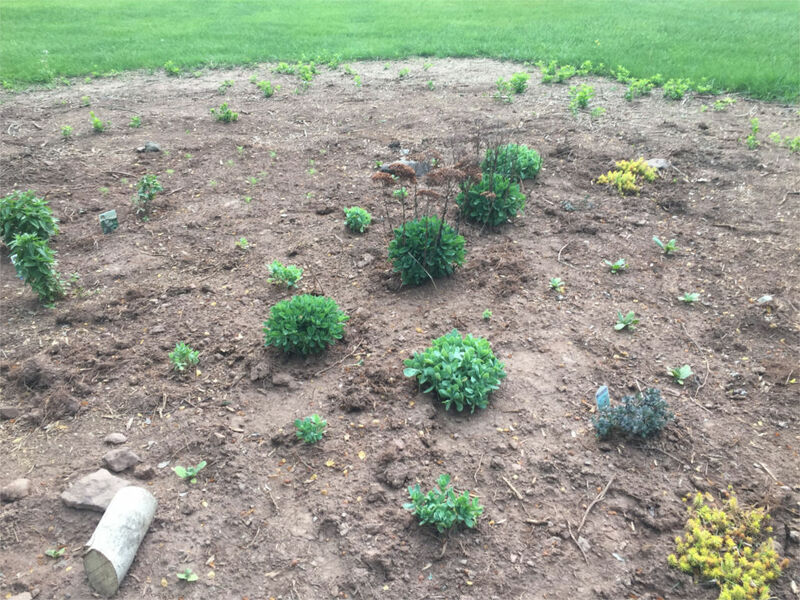 We took out an overgrown forsythia this year, and it was the perfect spot to start a flower garden. 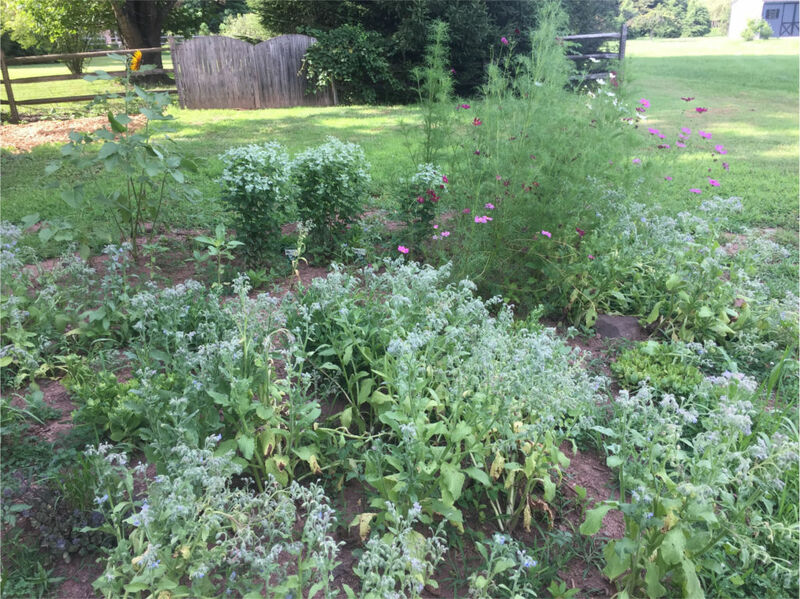 I bought some mountain mint, grew some cosmos, borage, and sunflower from seed, and transplanted some sedum into a roughly 12 foot (~3.5 meters) square. My garden was off and running. Of course, the deer loved it. The sedum and sunflowers were especially tasty. One online deterrent recipe later (which I can no longer find, but includes egg, milk, dish soap, and garlic), and they were a little better. I sprayed the sedum and sunflowers after each rain, and the sedum at least recovered. 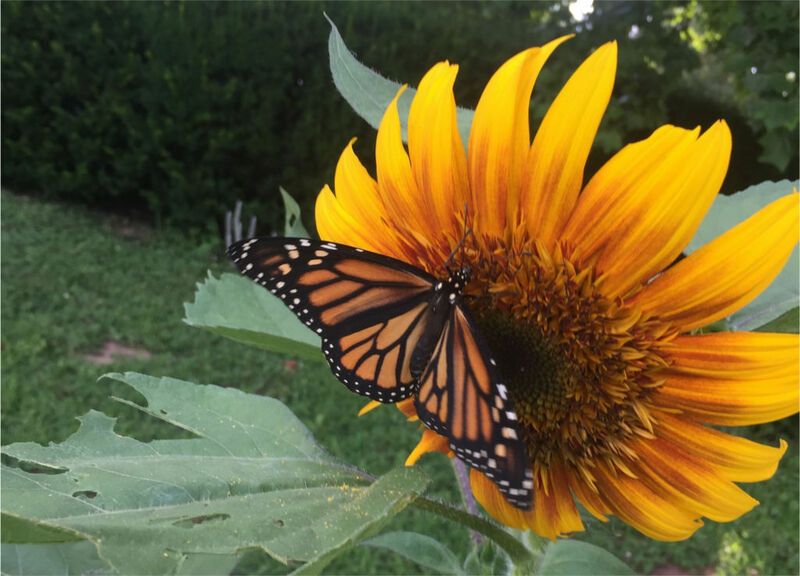 Today I found the sunflower and monarch butterfly you see at the top of this post. My other project has been to let my apiary and back field grow and see what happens. It is a work in progress, though this year some form of Black-eyed Susan has taken off. I simply mow the area once or twice a year, and hope for a meadow. Last year was all grass, this year we have actual flowers showing. 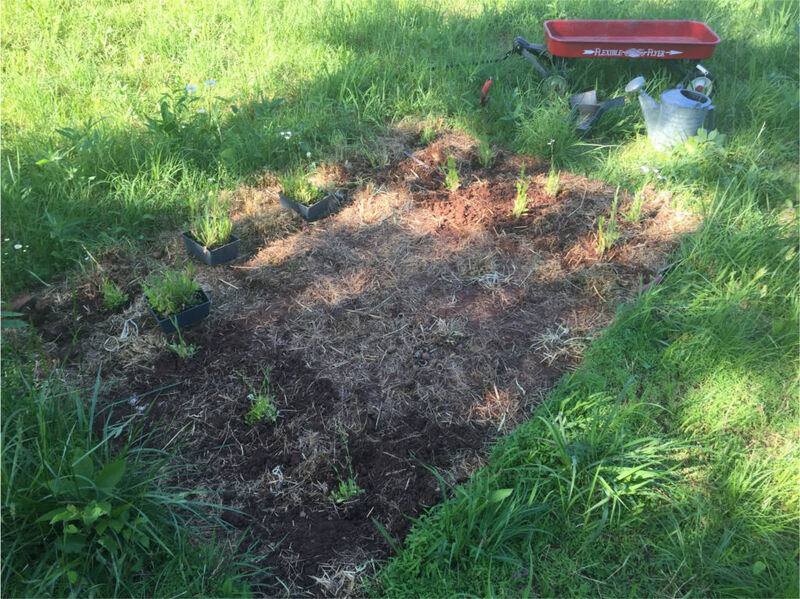 Another small project was to start some wildflowers in the field. 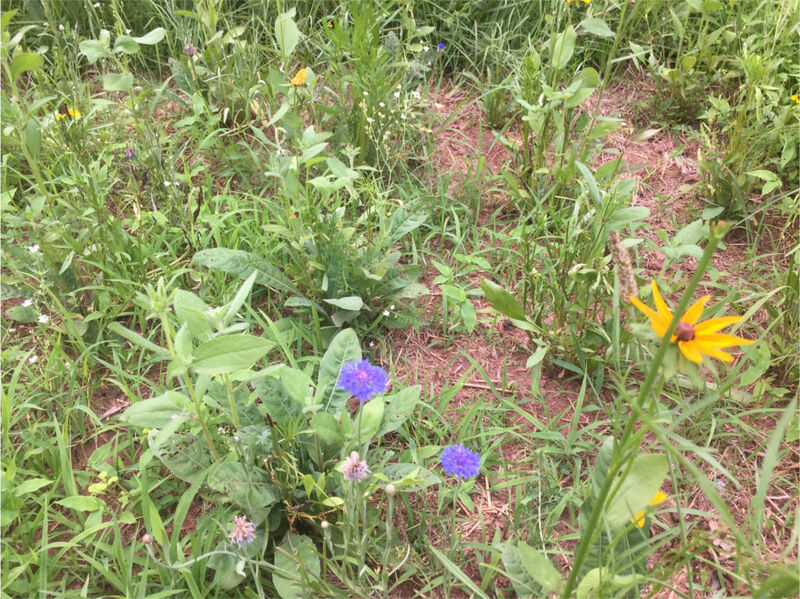 I bought a pollinator mix packet of seeds, and planted them in four small flats. While they were growing, I placed an old outdoor carpet on the lawn for 6+ weeks to clear a space in the field. On May 24, I planted them by cutting each flat into six pieces. So far they are doing okay, and I hope they will reseed a little and spread in future years. For to the bee a flower is the fountain of life. Our title comes from the poem On Pleasure by Kahil Gibran, from his book The Prophet published in 1923 and translated into over 40 languages. The book is a somewhat spiritual reflection on topics from love, marriage, and children, to beauty, religion, and death. I first read it as a teenager and still have a copy somewhere. You can see the full poem, as well as other poems in the collection, on the katzanddogz web site. This phrase seems to capture, in perhaps anthropomorphic terms, the relationship bees and flowers seem to have. Bees cannot live without flowers, at least they cannot live well; and flowers cannot reproduce naturally without bees and other pollinators. An appropriate thought for a post about summer-blooming flowers in the yard. Thanks Lauren. Took a few shots to get the wings open. She was good to stay and pose for me. Hopefully we’ll see some more around here. Love your wildflowers. 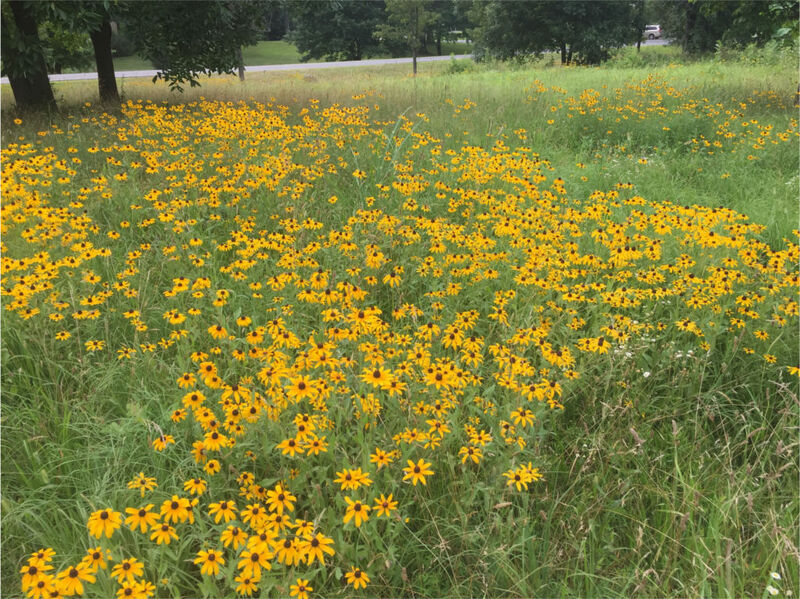 Black eyed Susans are a favorite of mine – so easy to grow, they spread like crazy, and you can always have fresh cut flowers. Beautiful!